This post is part of Triple Pundit’s ongoing coverage of the SXSW Eco conference. For the rest, please visit our SXSW Eco page here. 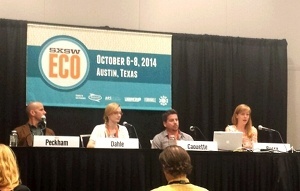 Ocean health issues took center stage at the 2014 SXSW Eco conference in Austin, Texas last week. On the second day of the conference, renowned oceanographer, explorer and author Sylvia Earle, who you may also know as the founder of Mission Blue, gave a keynote speech on her vision for more sustainable seas. Her speech was one of the most buzzed-about at the conference, and the subject definitely hit home. The following day, a group of sustainable seafood experts assembled for a panel discussion on how networks are the future of fish. What do they mean by 'networks,' you ask? To put it simply: 200 million people directly or indirectly depend on fishing for their livelihoods, many in developing countries. In nations where infrastructure is limited and regulations lax -- and cost-effective, sustainable solutions are not readily available -- fishermen often choose unsustainable and even illegal catch methods in order to make a living. For these fishermen, the only networks they know for catching and selling their fish are unsustainable. This contributes to the rampant overfishing of our oceans and the opacity of the seafood supply chain. But introducing more sustainable networks to fishermen and fishing communities around the world just may help solve the problem. And it's a problem that's only getting more serious: Upwards of 80 percent of the world's fisheries are being fished at maximum capacity or are exploited -- and that only refers to the fisheries we can measure. So far, researchers have only been able to assess about a third of the world's fisheries due to infrastructure issues and lack of funds in developing nations. Meanwhile, about a third of all seafood is mislabeled in North America, either by species, origin or catch method, and 28 billion tons of illegal fish makes its way into the legitimate supply chain every year. As Cheryl Dahle, CEO of Flip Labs and founder Future of Fish, put it: "We're missing a lot of information, and what we know isn't that great." The two panelists sitting beside her, Hoyt Peckham and Brian Caouette, have each witnessed unsustainable fishing practices firsthand -- and know the repercussions all too well. Peckham, founding director of SmartFish, has been working with fishery communities in La Paz, on the Sea of Cortez in northwest Mexico, for more than seven years. He recalled blatant mislabeling at seafood restaurants in Mexico City, where fish caught using unsafe practices was sold as sashimi -- what he called "fraud at its most egregious." Meanwhile the Sea of Cortez, which explorer Jacques Cousteau famously called "the world's aquarium," has become so overfished that chefs and grocery stores are now forced to import their seafood. As Peckham put it, "That's just wrong." In the Russian Far East, Caouette, director of the Sustainable Fisheries and Markets Program at the Wild Salmon Center, faces similar challenges. The region is about the size of the continental U.S. with only 5 million residents. In this remote area, Caouette said, illegal fishing happens "on a massive scale," and roe-stripping is a common occurrence. After using kill nets to block off an entire river, fishermen will harvest the females for their roe -- then leave the remaining fish to rot in the waterway or bury them in holes nearby. He recalled witnessing the practice countless times in Kamchatka, where he works, resulting in significant damage to local ecosystems. But he notes that while poaching and dumping in this manner can seem nefarious, the situation is rarely black and white. "Fish are kind of fine if you just let them do their thing," Caouette said. "These problems are human problems. As an ecologist, I had a pretty dramatic learning curve coming into these communities because it's all about social issues. "Most of the poachers in the field are young guys, unemployed, who are just responding to incentives. They're selling to processors that are paying good money for that, and it's going to consumers that in many cases don't care or don't have the information to care." These stories are similar to hundreds of other fisheries. The good news is: Fixing broken fisheries is possible, as Peckham and Caouette discovered on opposite sides of the world. In La Paz, Peckham's organization, SmartFish, helped fishermen rediscover the local sand bass, which was once sold at a mere 50 cents per kilo. If caught and handled properly, sand bass can actually reach sushi quality. "You cannot even recognize that it's the same fish," he said. By shortening supply chains -- and giving fishermen the education and resources they need to hand-catch the fish and handle it correctly -- Peckham and his team have seen significant revenue increases in the local fishing community. "Fishermen can earn considerably more by catching considerably less, which is our goal," he said. In Kamchatka, reformed poachers are now on the side of conservation and prevention. After years of work, the community is recognizing what the problem is and realizing that there is a solution. Caouette and his team have established a new system of products, buyers and sellers -- creating revenue for local fishermen and preserving natural resources. "Our approach is: We're not going to stop this type of thing," Caouette said. "We don't have the manpower; we don't have the ability to redesign the market. But we're trying to create essentially a separate supply chain -- working with local fisheries, supporting them to do traceability, to seek certification if that's the right goal, and then helping them to market their products to buyers that care about sustainability." Dahle provided an interesting cornerstone to these two 'fish tales,' as Future of Fish focuses mostly on working with entrepreneurs. Over an 18-month research process, the organization identified specific inflection points in the seafood supply chain, Dahle said, and gathered groups of entrepreneurs around these inflection points. 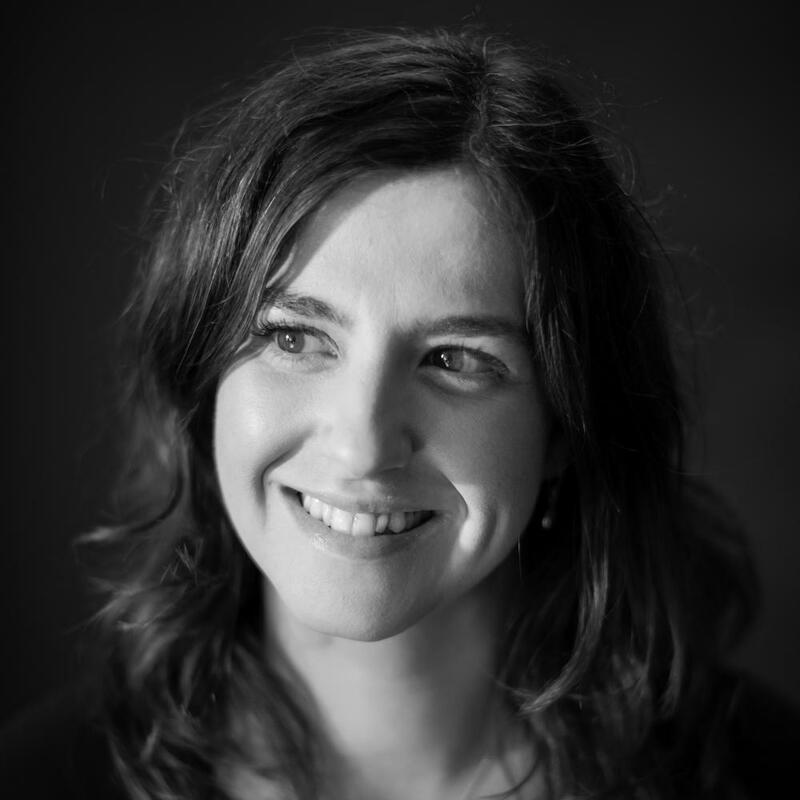 By bringing entrepreneurs from all stages of the supply chain together, she continued, you begin to build a positive network -- not unlike the networks Caouette and Peckham have curated on a smaller scale. "The idea was: The network that you build of entrepreneurs, those relationships wind up providing far more opportunities than we can envision at the start," Dahle said. "It also winds up being a much more effective lever for change than supporting just one business and putting all of your money in that one ship." It's no question that repairing the world's fisheries will take time. Each panelist noted that it can take years to develop relationships with fishing communities, but it's a quest that's well worth taking. And, network by network, fishery by fishery, communities across the globe are beginning to see real change.